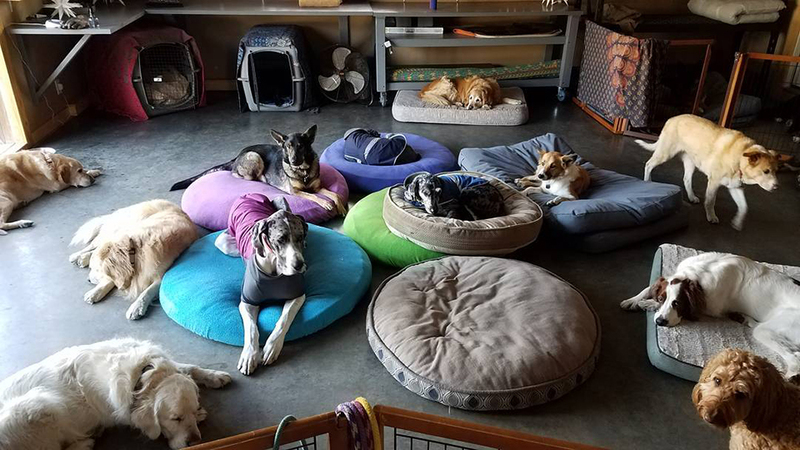 Moon Dog Lodge, aka Strutt Your Mutt, offers exceptional alternative dog day care and boarding services on a unique private guest ranch for dogs located on 20 acres in Tumalo just 15 minutes from Bend off HWY 20. Providing safe social opportunities along with the highest degree of love, they offer the nurturing atmosphere of home with awesome outdoor spaces. They keep their service small and intimate, cherishing the relationships they build with their extended four-legged family members, through educated attentive care, safety protocols, and unique care taking components that set them apart from other pet care providers. Their focused social off-leash outdoor component opens up the doors for a dog to release their natural energy in a natural space, whether they are youngsters, mid years, or beloved elders, with plenty of good clean air and sunshine along clean circulating pond and ditches. With 20 years of professional pet care experience, they are licensed, insured, and bonded, and also own and operate “STRUTT YOUR MUTT,” a professional (legal special use permit) trail guide service for dogs and professional house sitting service.